Login with Facebook currently unvailable we are currently updating our API with the latest facebook SDK. We’ve identified and fixed the problem :) We're not expecting any more server performance issues. Last week, Yahoo disclosed that 1 billion user accounts were compromised in 2013. Not only is this the largest breach ever disclosed, it's larger than the next nine non-Yahoo breaches combined. Breaches of this scale harm not only Yahoo, but your personal information, bank account, social media account and others important details that your are using Yahoo as your primary email. To secure your Yahoo Account change your password, reset questions and answers. If you have the option, you should also enable two-step verification for added security. Another option is to use GMAIL or HOTMAIL as your primary email. Your customer can now sends a Message, Inquiry or Note, or a recipient responds to your message, alert will be sent to your email address for the conversations. When you receive a message in your email inbox, you can choose to reply to the message by regular email (or you can reply on your JuanTambayan Account via your Messages Center). Your reply will not reveal your email address, unless you leave your email address in the body of the message. Our data center currently conducting a Network Maintennace expect intermittent connection accessing our site. Dashboard updated for Daily Listing Insight to track your listing daily views. Our system having an issue with sending email inquiry to publisher due to server changes, we're doing our best to restore back the system asap. For more information about keeping our site family-safe, please review our Guidelines. This includes fetish content as well as sites that promote, selling sexual aids. Thank you for Donating and Sponsoring JuanTambayan! Thank you for Donating and Sponsoring JuanTambayan to keep us Live! System Maintenance: Magbibihis lang si Juan para fresh look! We will conducting a system maintence for update. System and Server maintenance on 10-5-2015 from 12am to 5am. Sa lahat po na nagbebenta ng mga sasakya, we rerequired na mag lagay po kayo ng contact number sa inyong profile. Vehicle listing without contact information will be deleted from our system. System Maintenance completed, issue fix with publishing listing. Reminder lang po sa lahat, Please avoid publishing duplicate listing po we have a REPOST naman po every 7days. 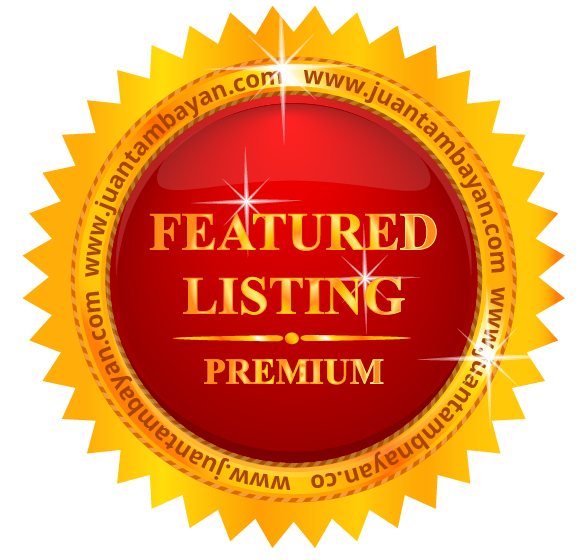 Posting Duplicate Listing is not guarantee para makita ang listing po ninyo, we are avoiding getting penalize by google for spam and duplicate content. 80% of Inquiry and Traffic is comming from GOOGLE and other Search Engine, we are doing our best po para ma optimize ang site for SEO, sa inyo po nakasalalay ang Success at Future ng site na ito. A Scheduled Maintenance is due to be performed as outlined below. On 06/24/2015 we will be performing a maintenance that will affect our power in cabinet, we expect juantambayan servers will experience a loss of power during the repairs to the PDB (Power Distribution Board). New Feedback System for everyJuan! Due to User Request our minimum Premium Ads will cost Php100.00 for 100days. A New Profile Page for EveryJuan! Photo profile error is now fix! Please submit a report if you are experiencing any error! We always wanted to improve JuanTambayan our Help Center is a place where you can find tips and tutorials on how to use JuanTambayan, for those users who want to volunteer improving our help center content please click "Add new FAQ" together with your Name and Email. All FAQ's submitted is subject for Review. We are currently working to fix profile picture. System fix for posting ads redirecting to referral page!